Mould thrives in dark, dank spaces, and can be dangerous for you and your home. It thrives in dark, dank spaces, and can be dangerous for you and your home. Here are some facts on mould. According to Health Canada's website, mould can be any fungus that grows on damp materials. Even though it's usually referred to as "black mould," it can be almost any colour. The fungus often looks like a stain and sometimes gives off a musty or earthy odour — a clue to help discover it when hidden under paint or wallpaper. According to the Canadian Mortgage and Housing Corporation website, mould flourishes when it has plenty of nutrients. This can happen when water leaks in from the outdoors — through the floor, walls, roof or plumbing. 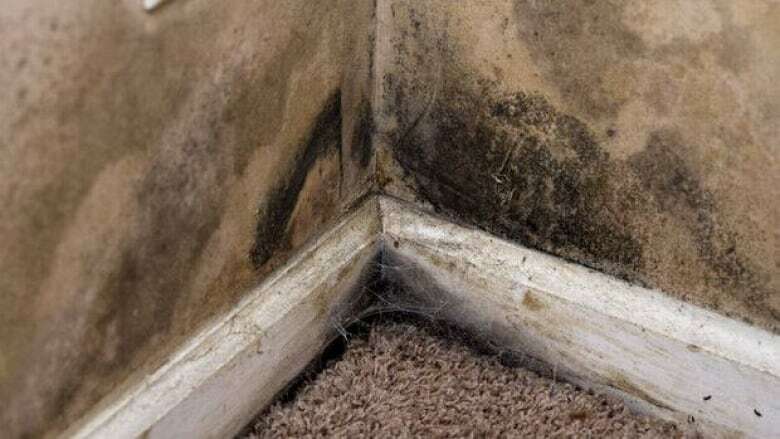 Mould can also grow when there isn't enough ventilation to get rid of moisture produced by day-to-day activities in a home such as washing clothes or cooking. Mould reproduces by releasing tiny spores into the air, and these spores can then be inhaled. Mould spores are always present outdoors, but when growing inside, their concentrated numbers are usually higher. While some moulds are harmless or even useful, fungus growing unchecked can be dangerous to a person's health and the structural integrity of a building. Health Canada says mould can cause eye, nose and throat irritation, as well as coughing, wheezing and shortness of breath. It can also cause allergic reactions, worsen symptoms of asthma and has been linked to fatigue and headaches. While healthy people may not be as susceptible to the effects of mould, it can seriously harm the young. According to the Ontario Ministry of Health and Long-Term Care, mould can cause coughing and bleeding in the lungs of infants and young children. It can also prove harmful for people with suppressed immune systems. Diabetics, organ transplant recipients, chemotherapy patients and people with AIDS are more likely to react to mould. It can also pose a risk to pregnant women and their babies. Health Canada says if a pregnant woman believes she is experiencing adverse health effects as a result of mould, she should see her doctor. Mould can be found anywhere that's damp — leaving a wide array of building types open for the fungus to grow. The Ontario Ministry of Labour says any building with a history of leaks, floods, fires and poor indoor air quality is at a greater risk of mould infestation. As such, any building with shoddy construction or damage can be a breeding ground for fungus. The Ontario Landlord and Tenant Board lists 77 dispute cases involving mould in rented dwellings in the province in the last year. The Ontario Ministry of Health and Long-Term Care says mould growth can be more prominent in portable classrooms because their construction and maintenance makes them more mould-prone. To fight mould, Health Canada recommends any leaks in a home be repaired right away. Kitchen and bathroom exhaust fans should be used when cooking and showering and clothes dryers should be properly ventilated to the outside. Bathtubs and sinks should be sealed tightly so water doesn't pool and leak where mould could grow. Household humidity should be kept at or below 50 per cent in the summer and 30 per cent in the winter. To achieve this, a dehumidifier can be used. Mould can grow on anything that holds moisture, so things like fabric, paper and wood shouldn't be stored in basements. If there's a flood, the wet area should be completely dried within 48 hours. Health Canada says a small or moderate amount of mould can be cleaned fairly easily. On a washable surface, simply scrub the mould away with water and dish detergent — making sure to wear rubber gloves, eye protection and a dust mask. Bleach isn't necessary. A large amount of mould may require professional help because it can be caused by a major moisture problem or a leak in an exterior wall, foundation or plumbing system.